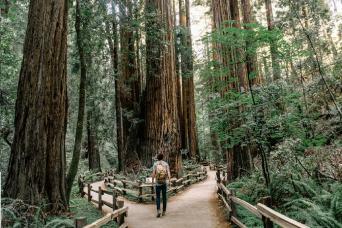 Your choice of 5 tickets to top attractions in and around San Francisco including tours, cruises, museums and so much more. Blue Bus tours, Gray line of San Francisco DBA San Francisco City Tour is a fully insured transportation company under the California Public Utilities Commission #0030282. San Francisco City Tour assumes no responsibility for delays/itinerary changes caused by breakdowns, traffic, accidents, and/or any other conditions beyond our control. Explore San Francisco at your own pace. Choose and pick your Must See attractions from an extensive menu of iconic San Francisco experiences. 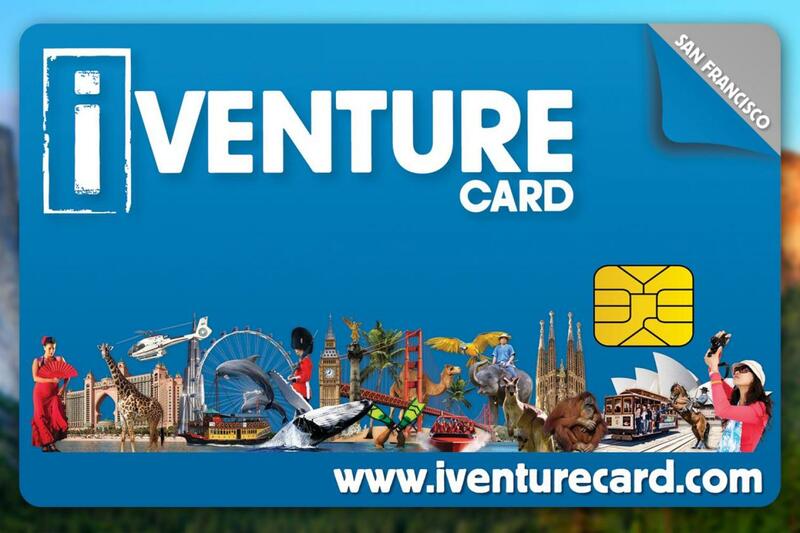 The iVenture Card grants you savings up to 50% on retail prices. 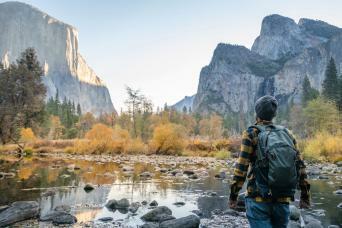 All package options are flexible and options are endless to suit your travel schedule and interests. 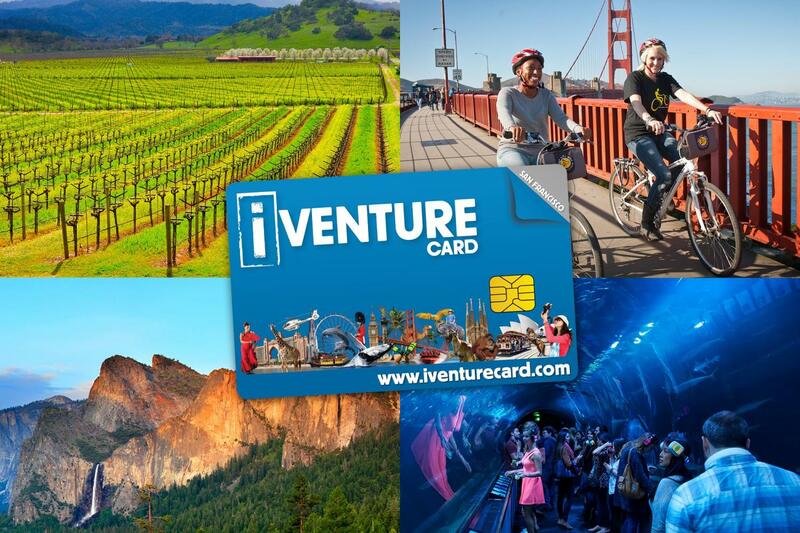 iVenture is easy to redeem. Just swipe your card for cash-free entry or to redeem your benefit. The Alcatraz Island Combo for our iVenture & Alcatraz Tour Package requires five days advance reservations (no day of Alcatraz combos available) from Gray Line of San Francisco. iVenture & Alcatraz Package is simply a must-do for anyone visiting San Francisco for the first time.